For more information, and how to order My Lift Stand, go to our Contact Page. 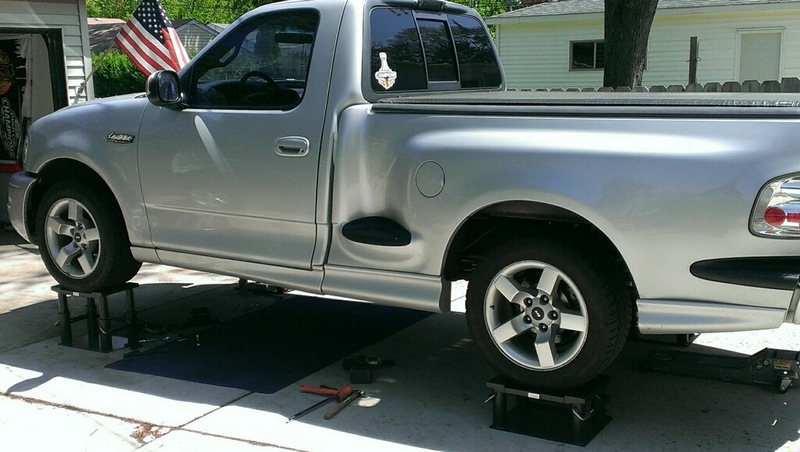 Working under a car on “My Lift Stands” – unmatched lift height for DIY at-home car repair! 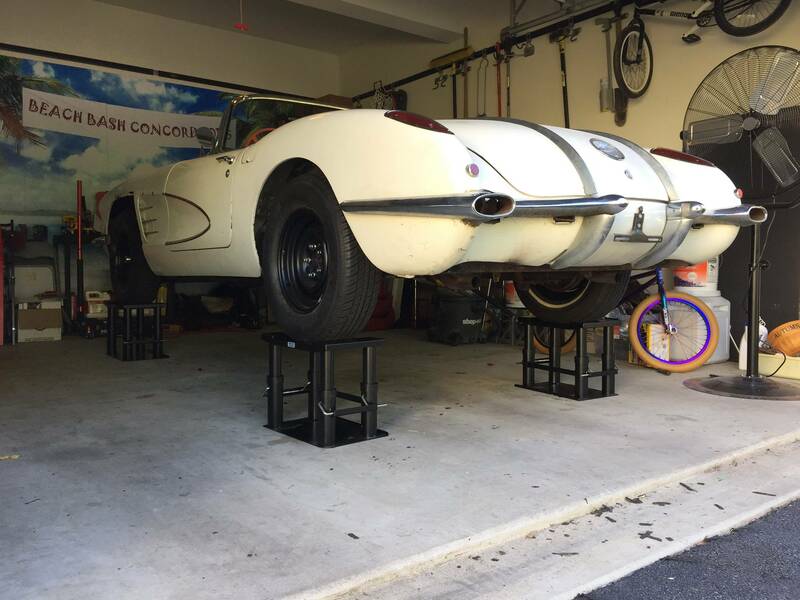 I purchased 4 liftstands from Bill to work on my 2013 Vette. Did my research on the product and saw the video. Was even more impressed when I received them. I am a welder of jet engines and various gas turbine engine components for just about 40 years. Have worked NASA Space Shuttle engines, worked FAA repair stations along the east coast. So when I see this product I’m very impressed with the fit, finish, quality and especially the weldments. They surpassed my expectations of what I thought I was going to get. They work flawlessly and are very bulletproof. 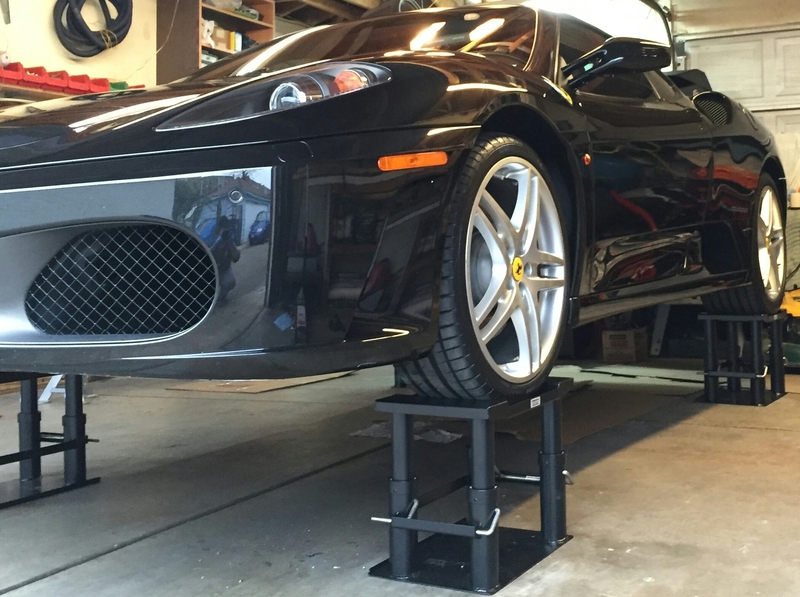 I could go on and on, but let me just say these liftstands are the bomb for the best lifting device. Thank you! I was recently able to see the major use of these stands firsthand. For most DIY'ers, it's worth it if you do extensive work underneath. I own a mobile auto repair business and was able to fully utilize a set of these recently. A gentleman and I used the set to pull a transmission out of an E350 work van. He bought a rebuilt unit and we were doing a straight swap. With the stands, we were able to do it in just a few hours. Having a van fairly high and a transmission jack made that job easy. 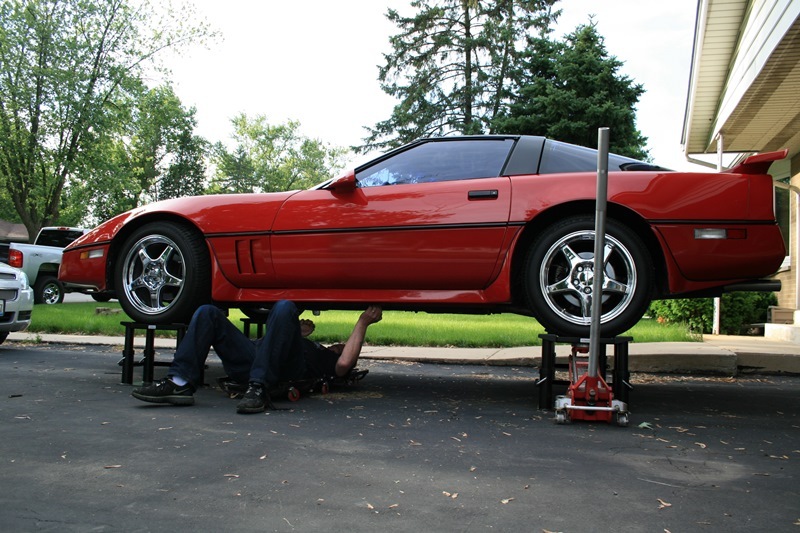 It would have been far more difficult on jack stands because you would need to lift the van very high to compensate for the height of the transmission sitting on top of the jack and then you are still not lifting from the lowest point. My friend and I pulled a transmission out of a 2005 C240 4 Matic using standard jack stands and it was much tighter and made the job take longer. These stands are the best thing since the automobile itself. Of course the car is not going to roll off. Anyone using them should have enough sense to put the car in park or the emergency brake on. The stands are not intended to be used at different heights. They should all be set at the same height. There is a square shoulder formed into the top at each end of the stands so a car is not going to roll off if properly used. They are quick and convenient to use at either 8" of lift under the tire or at 14" height under the tire. unlike the standard 4 post lift everything is easily within reach under the the car as there are no ramps in the way. An X type hydraulic or air jack scares me to death. We feel much safer under a car on these stands than having it on regular jack stands because the tires are all at equal heights. We feel this is far safer than rubber or aluminum drive up ramps and you have much more roll around room under the car. 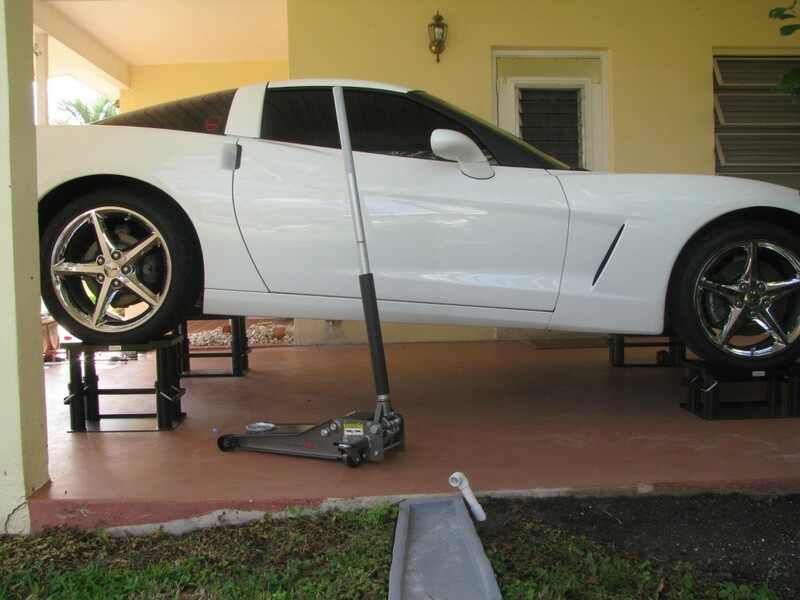 I received the Lift Stands and they were in excellent condition. I gave them a try tonight and I am absolutely blown away with how easy they are to use and how safe I feel your design is. Thank you and I think that you should really do well with this design. I am going to show them to several friends and I have already sent pictures of them in use to my brother-in-law in Mesa Arizona. If we all spread the good word, perhaps you will do even better. Thanks again. Product arrived to day and in great shape. Is an outstanding product that will like to order the 2nd set. Great design and intuitive to use. On Sep 1, 2015 P M Villafañe"
If you want a testimonial, please check your records. I purchased two pair a year ago. Please feel free to utilize my opinion as you see fit. 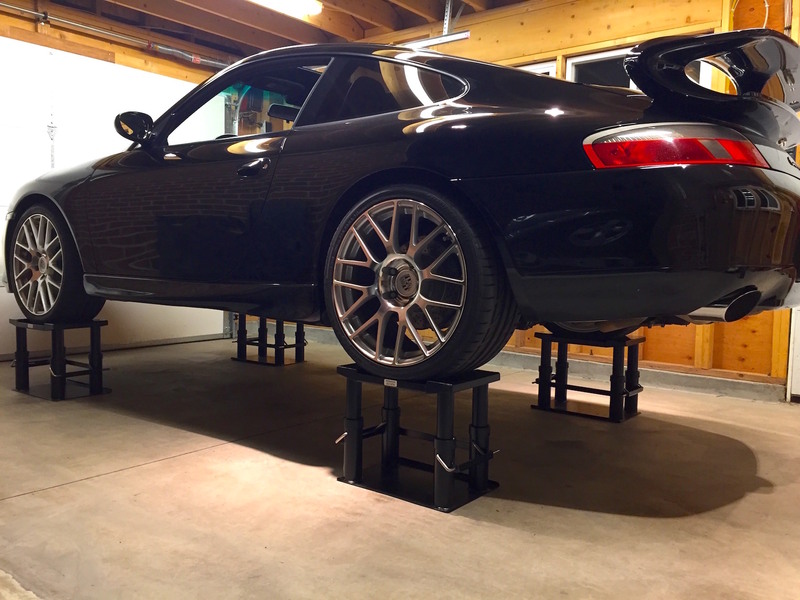 I have now owned and used two pairs of lift stands for about a year and I now could offer an accurate appraisal of this product. I purchased these stands to acquire sufficient clearance to work comfortably under my C3 Corvette with a four wheel creeper. This product is sturdy. 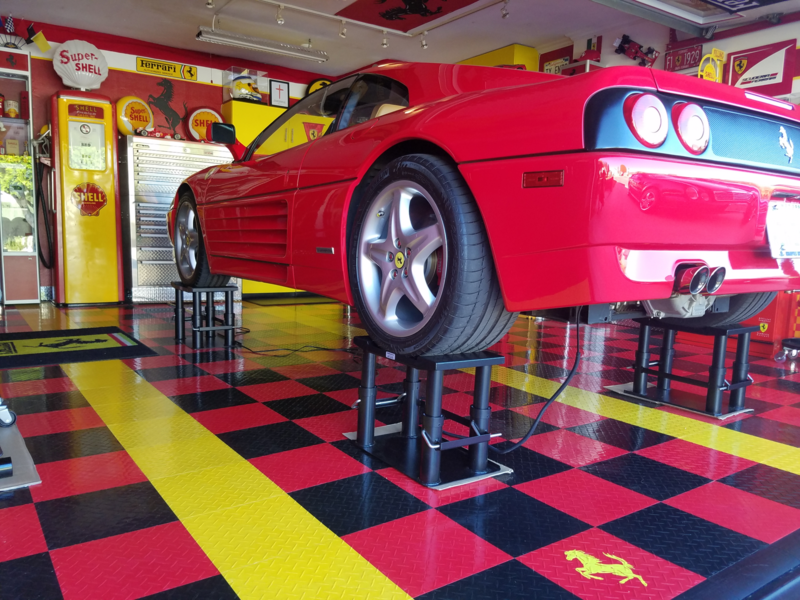 Obviously one cannot perform a wheel off repair, but if one is working on other parts of the driveline, exhaust, or for frame and body restoration you will have ample room to work. The only departure I utilize from the maker s recommendations is that I use two floor jacks to lift the car at a time. First the front and then the back. Some will complain that this is excessive and maybe it is. I now have zero concerns fears real or imagined that frame distortion will occur on whatever vehicle I work on uni-body or full-frame. I only wish that a major vendor would pick up his product. My fear is that such a vendor would diminish the quality of what he sold me. You get what you pay for and at this point in time this product works extremely well for me. These are great Bill. Thank you so much. If you ever look for investors, I may be interested and I am one careful guy with hardly any investments! Hey Bill the stands worked out great. I just got a chance to upload the photos online. Sorry about the lighting in the garage being so bad. I had to use a spot light in there. I haven't got to try them yet, but they are amazing quality and fitment.. I'm a hotrod / fab/ welder/ machinist/ trim carpenter guy that has seen it all , and I'm very impressed .. I stumbled across these on youtube over a year ago, did lots of research and chose your idea as the best possible solution for my needs.. I already sent a link to several friends and hopefully they get rid of some money in your direction.. I'll be ordering another pair in a few weeks to complete my set.. Very nice Job !!!! Thanks again Bill.. Hope you have a Great New Year! 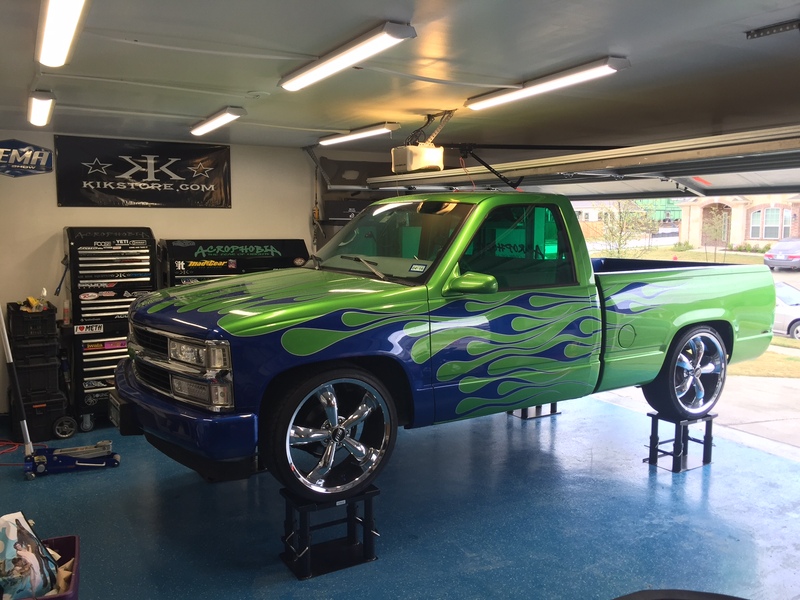 Not a fan of dime a dozen Chevy’s….. but I sure like your stands! I am doing some sub frame connector welding in…a friend loaned me his set of your stands. Wow they are nice, lifting the car but keeping the load on the suspension, very nice! The Lift Stands are amazing and truly worth the wait. The lower setting is 8", the high setting is 14". Very easy to use. I like that they slide around just a little on a smooth garage floor so the car settles properly after jacking and it's absolutely invaluable to be able to raise and lower front/rear or both of the car in the middle of a project in less than two minutes. I just installed CSL headers and Euro cats on my M coupe and absolutely loved the Lift Stands for this reason - lots of back and forth between the top and bottom of the engine compartment. They are kind of a lot for what they are but after receiving them I couldn't be happier. It made headers so much more painless. Being able to lower the car to access the top side and pop it back up in just a couple of minutes if I realized I needed to go back below for a minute was such a nice option to have. Also nice for more run-of-the-mill stuff. A couple months ago during my annual inspection on the ZHP I had more than enough room to roll around on a dolly underneath with my clipboard. They're a great compromise if you don't have room for a lift...or if your wife thinks a lift is overkill for an amateur mechanic. My favorite part is how safe I feel under them. 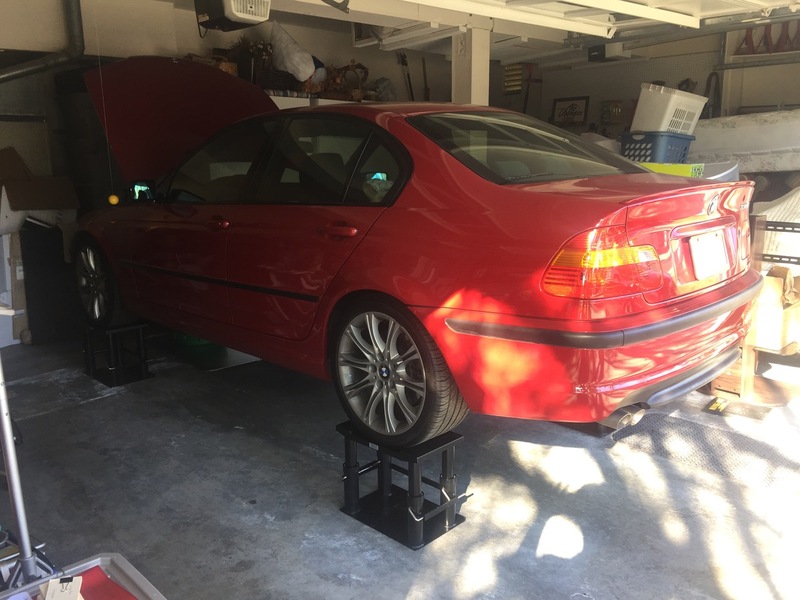 Jack stands are perfectly acceptable when used properly but there always seems like there's a minor chance the car could come off them. With Lift Stands the car is basically sitting on the ground...just 14" higher. They came yesterday and they are wonderful. I've attached a couple pictures and the rear tires appear to just fit. Thanks so much for such a great product! Just wanted to say thanks again for the lift stands. I've really been enjoying them and it makes working on my 911 much easier and way more enjoyable! 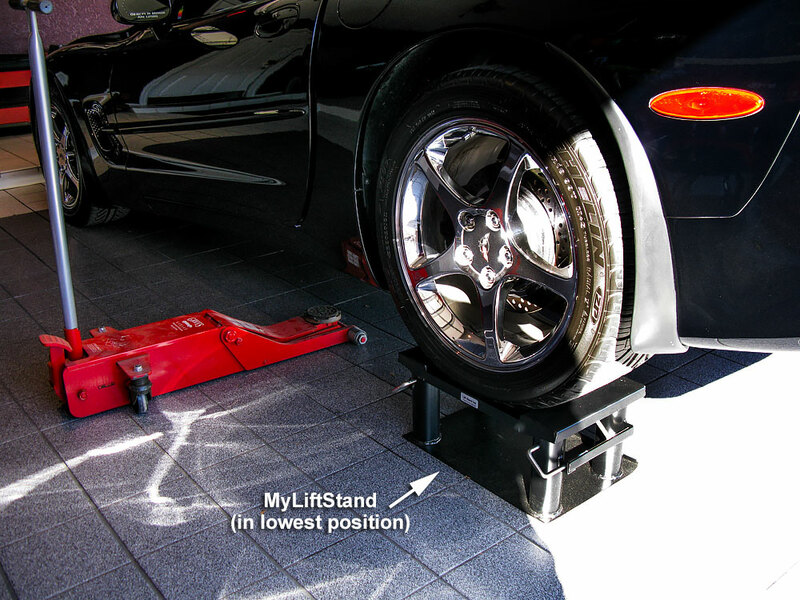 © 2010 - 2016 Lift Stand, Inc.